Keep your ear to the sound and your feet on the ground, everyone's favourite disco misfits are back, armed to the teeth with chatter and clatter. That's right folks, the Talking Drums crew bring you 'Vol. 2', another blast of edit ecstasy and different disco. 'Disco Danube' snaps, crackles and pops off the A-side, humming like a Soviet-era satellite broadcasting a lost Bollywood gem. Stomping disco riffs and wild funk guitar show serious swagger, overdriven vocals shimmer and shudder and the thrusters head way into the red. Slap on your lurex spacesuit and meet us on the dance floor. Flipside flyer 'Space Talk' cuts the engines and coasts through the asteroid belt, turning a Teutonic also-ran into an intergalactic groove mission. Knocking the spots off a neu wave B-side, the Talking Drums crew serve you hydraulic percussion, zero gravity bass chug and ice-cold vocals, soaked in synth sauce and finished with a tape echo garnish. Sil says: Talking Drums are back and the expectations are high. You will not be disappointed as this is mega jolly good. 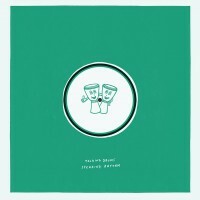 On this gigantic instalment, you get 'Disco Danube' a groovy, bass heavy rolling disco stomper overridden by infectious vocals that create a truly respectable dancefloor hit. On the flipside, we head to the sofas in the back where we go cosmic aided by 'Space Talk', a slow burner chuggy trip exuding attention to detail and craftmanship. Folks, this is one to keep - check that gorgeous artwork too! 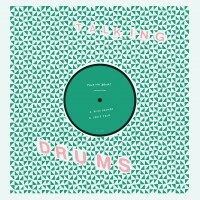 Talking Drums Vol. 1 sold out almost straight away. I expect this to fly as it is as good if not better!